We can’t thank Greene Giving enough! We attended their annual luncheon. 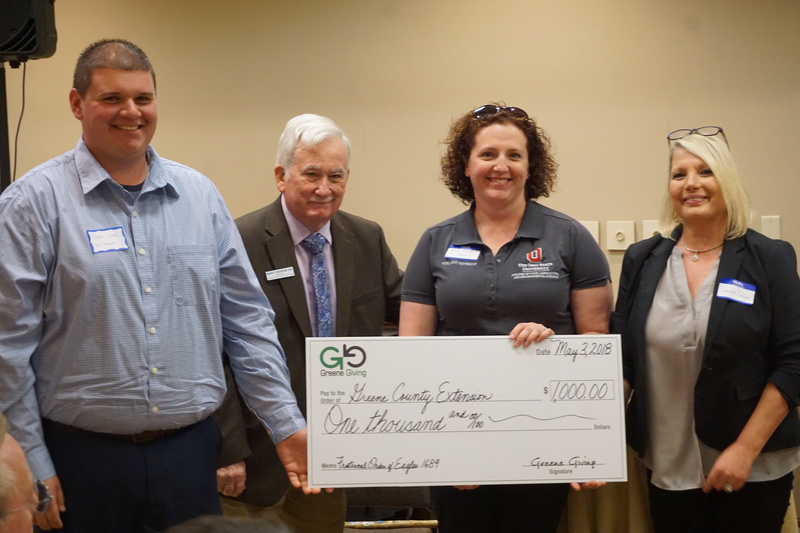 At the luncheon, OSU Extension was awarded $1,000 to implement the LOOK to Greene Youth Leadership Program for the 2018-2019 school year. We are so thankful for their generosity. OSU Extension is excited to work with 19 high school juniors and seniors from around the county learning about leadership, service learning, and this great county. Thank you to Greene Giving! Posted in 4-H Youth Development, Agriculture and Natural Resources, Family & Consumer Sciences, OSU Extension Greene County	Tagged Greene Giving, LOOK to Greene	Bookmark the permalink.